Mention ‘Thailand’ and people often think of the welcoming smile of the Thai people. This is accompanied by thoughts of visiting distinctive Thai temples, experiencing the intriguing culture, exploring lush tropical rainforests, meeting hill tribe people, getting up close with wildlife, frolicking on palm-fringed islands and beaches, snorkelling in crystal clear waters, shopping in fantastic markets, savouring delicious world-class cuisine, enjoying exotic and fun nightlife or darting around in crazy traffic in a tuk-tuk. And none of this activity ‘breaks the bank’, so to speak. If you have holidayed in Thailand, you may have even contemplated the possibility of living there. The good news is that many people do—some working for multinational corporations or maybe teaching English, but the majority enjoying a more relaxed, ‘post work’ life. You may be surprised to learn that many thousands of expats are living in Thailand, experiencing a diverse and hassle-free lifestyle for significantly less than back in their home country. For Aussie and Kiwi retirees, Thailand is attractive for many reasons. For one, it’s close and convenient, making it easy to visit friends and family back home…or have them visit you. The cost of living is low and so is the value of real estate…as little as a third of what it costs in Australia on both counts. Healthcare quality and accessibility is usually a high priority for retirees. Thailand has international-standard facilities with English-speaking doctors and medical staff and in fact is one of Southeast Asia’s medical tourism hotspots. Finally, there are the people. Thais are warm, friendly and welcoming. They love their country, and value others who show respect and appreciation for their beloved kingdom. Thais demonstrate a great sense of fun and relaxed approach to life. The Thai people are one of the joyful benefits of living here. 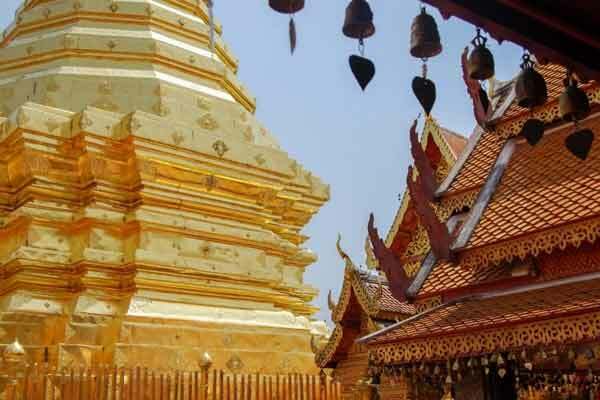 Chiang Mai, Thailand’s “Rose of the North”, is the largest city in northern Thailand. You can still see parts of the 13th-century city walls and water moat surrounding the old town. It is located in the Ping Valley, with mountain ranges including stunning national parks to the east and west. What makes this city particularly unique is the artisan traditions going back centuries. It is also a university town, which enhances the youthful, contemporary atmosphere set against beautiful, ancient structures. The city hosts innovation and design expos and has many established art galleries and museums. Many people pursue interests and hobbies like ceramics, drawing, painting and the performing arts. The live music scene is also thriving in Chiang Mai. The north is a fascinating melting pot of Thai people and others from Myanmar, Laos and many indigenous hill tribes. Northern Thailand is proud of its Lanna culture and enjoys this through delicious food, dress and cultural festivals. It also offers good highways and an airport, reliable internet, modern housing and enough English-speaking locals to get by. Interestingly, 1,500 Australian expats are said to be living in Chiang Mai, yet they are a small percentage of the overall expat community. There are several great Western-style shopping centres and fresh food markets, making it easy to stock your pantry. Cost of living would vary depending on how often you went out and how much local food you buy, as opposed to imported foods. There are single people here living on an Age Pension very happily and couples living with ease on $2,500 per month. Victoria natives Raelene and David Harris chose to make Chiang Mai home and settled into a two-storey townhouse in the city centre. Their modern home, with three bedrooms and two bathrooms, costs just $600 per month. “We have all the mod-cons here, yet so much of Chiang Mai is simple and beautiful, especially some of the countryside,” says David, 62. “I order most of my shopping online and get it delivered. It generally costs $60 per fortnight and delivery is free. Sometimes I go to the local market and spend $5 on fresh fruit and vegies,” says Raelene. Raelene and David joined the Chiang Mai Expats Club, which is a well-established club, renowned for providing support to newcomers and offers lots of special interest group activities. Hua Hin, sometimes called the Royal Coast, is about three hours’ drive south of Bangkok. Once a sleepy fishing village, the royal family established some summer palaces along the coastal area, resulting in road, rail and other infrastructure being built. It became popular with Thais seeking a weekend getaway from bustling Bangkok and has become increasingly popular with expats, too. It is much quieter and more laidback than other seaside locations like Phuket and Pattaya. The actual district of Hua Hin is home to about 110,000 people. 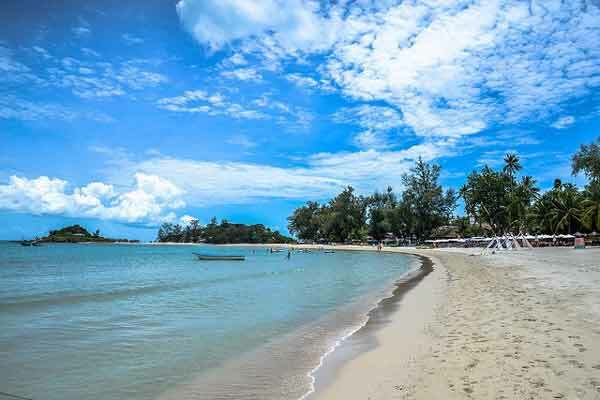 However, when people talk about Hua Hin, they often include coastal areas from Cha-am in the north, to Dolphin Bay in Sam Roi Yot in the south—a coastal zone stretching some 75 kilometres. Central Hua Hin has a delightful mix of old and modern Thailand. Housing ranges from affordable, modern holiday homes to more standard residential housing, with some gated community housing developments in rural and farm areas. 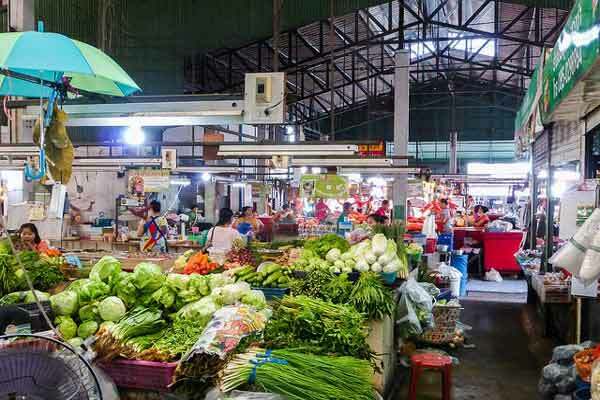 A fantastic range of fresh fruit, vegetables, seafood, meats and all the necessities are available from fresh Thai-style markets through to gourmet supermarkets. “The lifestyle is pretty relaxed here and it’s so easy to travel. The other weekend we jumped on the train and were in Bangkok a few hours later. No matter where we go, it often ends up with us sitting down somewhere eating Thai food,” says Shane. “We see this as the best thing we’ve done because life’s too short. And the older you get, the faster time goes, so having made the decision you just have to get in and get it happening. And it’s strengthened our relationship because we are in this together,” says Leigh. 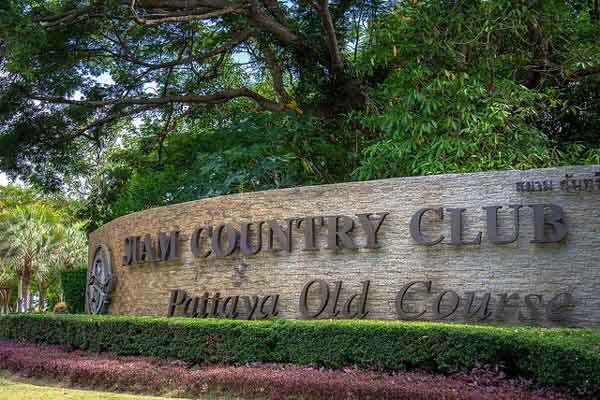 Expats with a bit more time on their hands enjoy golf on international-standard courses, play tennis or pickleball, do yoga or Muay Thai, go fishing or birdwatching, explore nearby national parks where elephants roam free or work out in quality fitness facilities. The idyllic, tropical-island paradise of Koh Samui in the Gulf of Thailand is fringed by white sandy beaches and headlands. The main beaches are recognised as some of the best in the world, with inviting crystal-blue waters and you can still find delightfully secluded coves or a long stretch of beach to wander along. 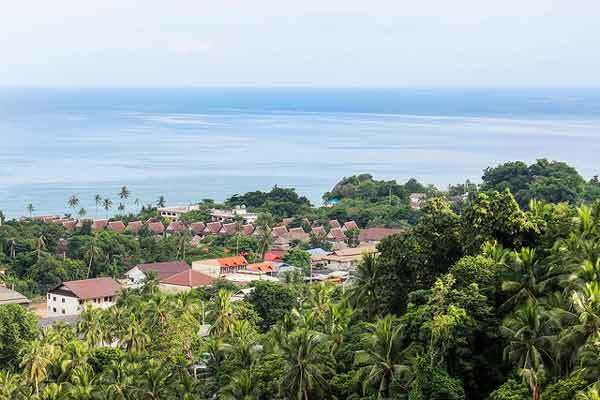 Until the late 20th century, Samui remained an isolated, self-sufficient community, with fishing, coconut and rubber plantations being the primary source of income on the island. Backpackers and budget travellers started to frequent the island in the early 1970s, and in the 1990s tourists began arriving in increasing numbers. 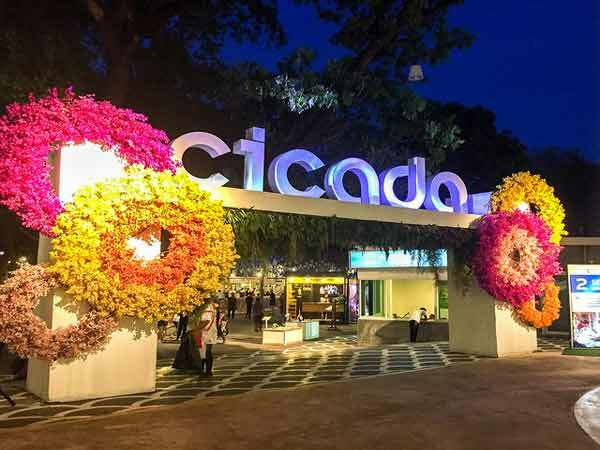 Since then, it has developed rapidly into a fully-fledged tourist destination with luxury hotels, spas and boutiques welcoming around a million tourists every year. You can easily drive around the island in half a day, stopping off to explore. Around 63,000 people live on the island, including around 15,000 expats. The east coast is the most populated and where most of the tourist accommodation, dining and entertainment, shopping malls and hospitals are located. A big plus for Samui is the international airport, and access to the mainland by vehicular and passenger ferries to Don Sak near Surat Thani. Unless you just want a break, there’s little need to leave. Furniture stores, car dealers, electronic stores, air-conditioned shopping centres and well-stocked supermarkets are available. Even high-speed, fibre optic internet, as well as digital TV access, is available and affordable. Canberra native Ian Dempsey explained, “When I needed a break from work, my son suggested Koh Samui. I was here for three days and decided, ‘This is it—I don’t need to go anywhere. I’m home!’” Two years on, Ian is loving island life. With an overall budget of $2,500 per month, Ian and his partner rents a fully furnished, three-bedroom, two-bathroom pool villa. Of his budget, rent is just under $1,000, utilities $110 and phone only $12, leaving plenty left over for dining out and enjoying his new home. The couple’s home is surrounded by lush, tropical jungle but only a five-minute drive from the beach village of Bo Phut, where they take their pick of restaurants, shops and beaches. Expats come to Samui for the sea, sand and sun. They stay for the affordable, laidback lifestyle. It offers so many outdoor ‘adventure’ activities, plus outer island getaways to Ang Thong National Park, Koh Pha Ngan or Koh Tao. 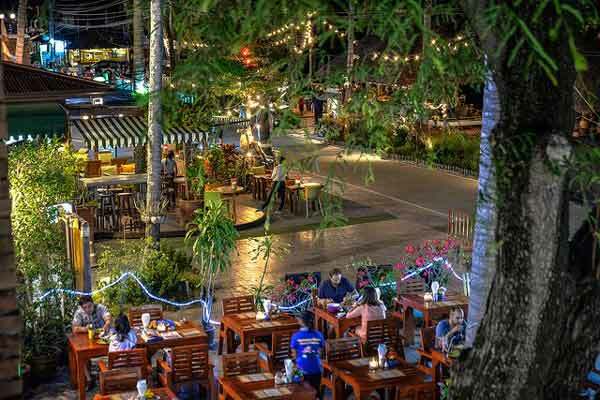 Many expats join trivia nights or service organisations like Rotary, learn the language, chill out with live music, dance salsa, watch spectacular sunsets, enjoy Thai massage, or take up archery, golf or yoga. Phuket Island is the most visited island in Thailand, welcoming some 12 million international tourists a year. Located on the east coast of the Thai/ Malaysian peninsula in the Andaman Sea, Phuket’s population is approximately 600,000, including an estimated 110,000 expats. One of the many benefits of moving to Phuket is that although it’s tropical and exotic, there’s no serious culture shock. All the amenities you might need for modern living are at your doorstep. It is a dream lifestyle, on a beautiful island, at affordable prices. And with your own international airport, you are linked to the world. The island is about 50 kilometres long and 21 kilometres wide and is connected to the mainland by Sarasin Bridge. Around 70% of Phuket is covered with mountains and several creeks and cascades snake through the hills and plains. The west coast has lovely white, sandy beaches that attract most people. The most popular tourist area is Patong on the central west coast, with its easy-to-access, wide, long beach. Most of the nightlife—including the infamous Bangla Walking Street—is in a few blocks, with bars, discos, exotic dance clubs, restaurants and the night market operating amidst the mayhem. 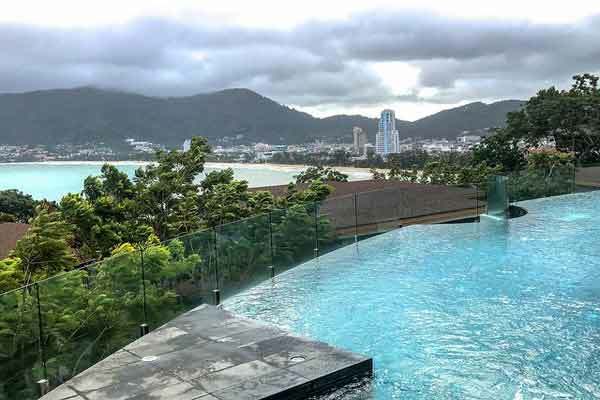 Phuket Island isn’t all about parties; a more tranquil lifestyle can easily be found in one of the several west coast towns north or south of Patong, in the south of the island around Rawai and Chalong, as well as inland locations like Kathu and Phuket Town. Large-scale yachting marinas are found on the east coast. Chalong Bay Pier is the hub for tourist charter boats, dive boats and cruises to the smaller islands like Coral, Raya or to Krabi, Phang Nga and Khao Lak. Across the Gulf from Hua Hin is Pattaya, the most visited destination in Thailand, outside of Bangkok. It has long held a reputation as being sleazy. 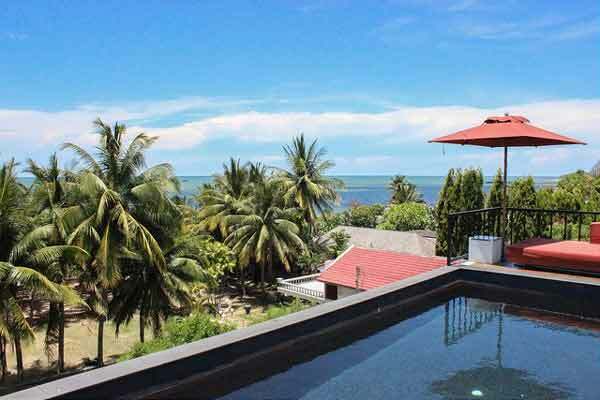 While that element exists within Pattaya City, beyond the central area, many expats are enjoying a lifestyle with all the facilities and services needed and at a lower cost of living than some other expat destinations in Thailand. 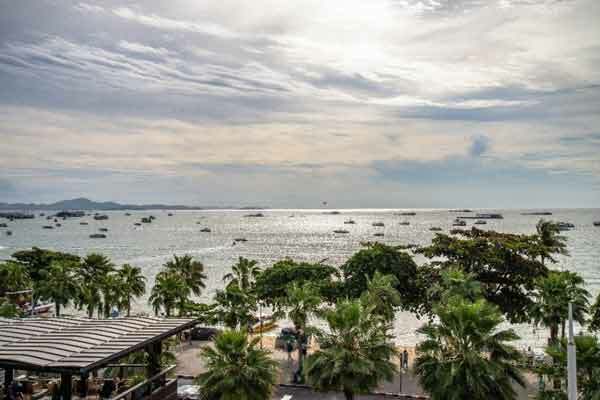 Once a quiet seaside village, Pattaya became increasingly popular during the Vietnam War, as American servicemen on R&R enjoyed the welcoming hospitality of the Thai people. 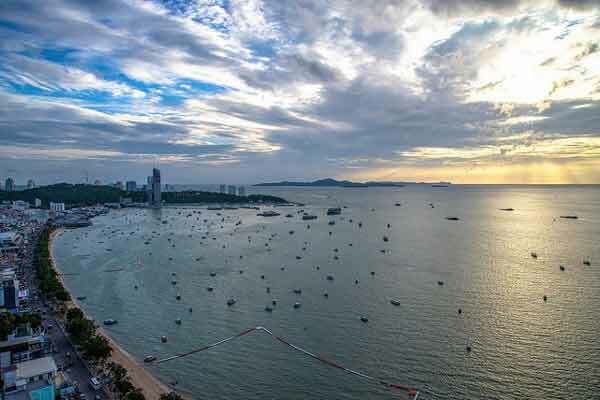 In the mid to late 1970s, weekenders from Bangkok, budget travellers and Europeans started to flock there and Pattaya continued to grow and develop as we see it today. The local government has built more sporting and entertainment facilities, as well as services to attract families and couples. Massive investment is underway to improve airport, rail, road and sea infrastructure in this eastern corridor. When it comes to housing, there is a multitude of apartment buildings with excellent onsite facilities. Studios can be found from as little as $60,000. Those looking for villas or houses need to move further from the coastal areas. Your interests and hobbies, as well as what you want nearby, will guide you in choosing the right location. When it comes to sport and recreational facilities, it’s an expats’ playground, boasting racquet sports, fitness centres, swimming pools, beachfront walking areas, yachting, yoga, cricket, chess, bridge, running groups, polo, water sports, golf and dancing, to note just a few. There are opportunities for those wanting to ‘give back’ by joining a charity group or foundation. You can join Christian groups, volunteer to teach English at a Thai school or volunteer with the tourist police. This area of the Gulf of Thailand has some top-notch islands, too, and they are much less populated and visited than the southern islands. She doesn’t need a car, either. “The transport is amazing—the ‘baht bus’ comes every few minutes and runs for 24 hours.” At 43 cents a journey, this keeps her living costs low too. Two to Avoid…or Future Hotspots? Koh Chang is a 30-minute ferry ride from Trat, on the southwest coast of the Gulf of Thailand near the border with Cambodia. It is the third largest island in Thailand and part of an archipelago of 52 islands. Most visitors are drawn to the three biggest in the archipelago—Chang, Mak and Kood. They have some of the clearest waters in the Gulf and are becoming more popular every year, as people look for more quiet and natural locations. There are four flights a day from Bangkok to Trat during the peak season from October to March. Alternately, visitors may arrive by bus from Bangkok, Pattaya or other road transport. The airport receives about 90,000 passengers a year—a far cry from the likes of Koh Samui and Phuket. 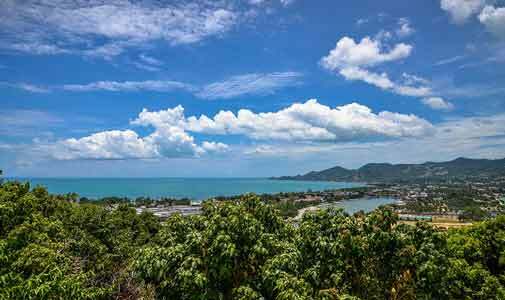 Koh Chang covers about 212 square kilometres and is dominated by steep, craggy, densely forested peaks, with the highest point 744 metres above sea level. Tumbling waterfalls, almost deserted beaches and Bang Bao fishing village—where traditional wooden houses on stilts are built out into the sea—make for great exploring. More upmarket resorts are located on western beaches, and it is more populated than the east coast. Another spot to explore is Klong Son, a village surrounded by mangrove forest and the centre for the island’s rubber plantations. Koh Chang and the other islands in the group are fantastic to visit. There are hospitals, as well as supermarkets with some Western foods, but perhaps a little more limited than some expats may seek. There is a small expat community, albeit not flush with retirees. The key downside is being locked on the island during the wet season (May to September), when it can be very wet and blustery throughout these five to six months. Prachuap Khiri Khan is the capital of the province of the same name. The well-recognised Hua Hin and Cha-am sit in the northern half of this province, yet the regional capital is not that well known. It is a quiet and welcoming city with about 25,000 residents. The city sits on a wide, curved, sweeping bay, with walking and cycling paths along the esplanade. Neighbouring Ao Manao (Lime Bay) is equally impressive. The easiest way to access it is by driving across the runway of the ‘Wing 5’ Royal Thai Air Force base—no stopping for selfies though. 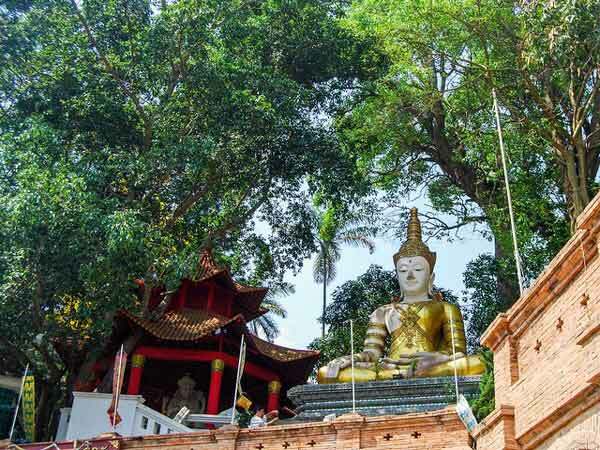 Sitting atop the headland at the northern end of the city’s esplanade is Khao Chong Krachok temple, providing magnificent views over the two bays. Just a few kilometres north of the town centre is Wat Ao Noi—a beautiful teak temple—and Tham Phra Nawn or Reclining Buddha Cave. About 13 kilometres west of Prachuap Khiri Khan is the Thai-Myanmar border, a must-visit on Saturday mornings for the Dan Singkhon Market, especially if you like orchids (three flowers or plants for $4). Back in town, the Friday and Saturday walking street night markets attract the locals, who feast at the fabulous seafood stalls, stroll for snacks and treats, enjoy a massage under the stars or just amble around the esplanade, chatting with friends while taking in a balmy evening. Some expats are living here, but it’s a tiny community compared to other expat locations. It lacks facilities that many expats look for—like Western-focused supermarkets with imported goodies and other expats to network and socialise with. Recreational and sporting activities are reasonable, with a good selectio but any expat living here needs to have a good command of the Thai language. Also, it is about a five-hour drive to Bangkok. 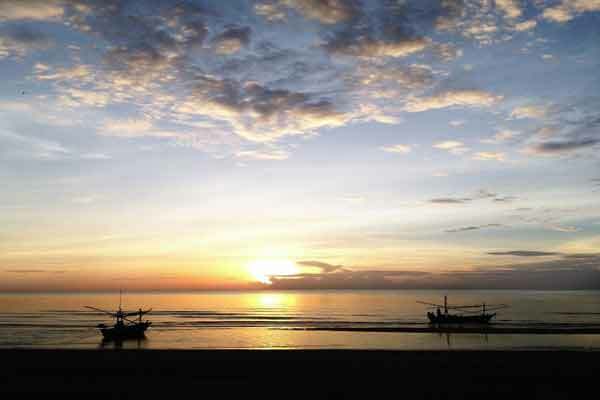 The nearest airports are Bangkok or further south in Chumphon. But this could change for Prachuap Khiri Khan in the next 10 years, so don’t forget this location. Construction on a high-speed rail line—from Bangkok though Hua Hin and on to the regional capital—starts construction in 2019, making it much easier to get to. It also opens up the area to tourism, which is all part of the government’s long-term planning. 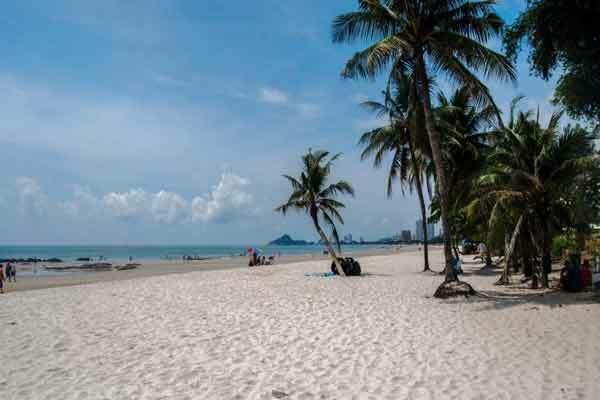 With added infrastructure, facilities and services, coupled with clean and inviting beaches, a lovely esplanade and a laidback lifestyle, Prachuap Khiri Khan could become an excellent low-cost option for those looking for a quieter coastal retirement lifestyle, without giving up on the necessities.